Pierre Elliott Trudeau is Canada’s Prime Minister. Canadian rocker Neil Young’s “Heart of Gold” is topping the U.S. charts, and the Watergate Scandal is beginning to make the front pages. On February 14th, three new graduates from Dalhousie Law School launched their law firm Boyne, Crocker & Jones, and hung their shingle at 46 Queen Street, Dartmouth, Nova Scotia. With a ton of optimism and lots of dreams, they set about building what was to become one of the largest law firms in Atlantic Canada. Today – 40 years later – BOYNECLARKE LLP has over 150 lawyers and staff. 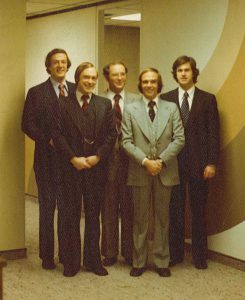 Thomas Boyne’s leadership and fiscal conservatism, Dereck Jones’, and Robert Murrant’s litigious flamboyancy, and John Young’s “fine hand” in doing business deals, caused the Firm to take off in the late 70’s and never look back. Every year the team grew. 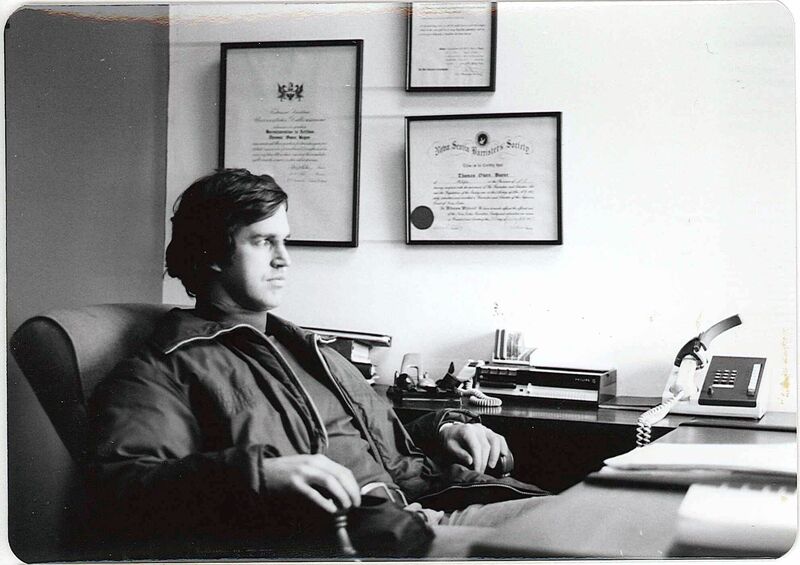 1981 was no exception when one of the top criminal lawyers on the East Coast, David J. Bright, arrived with Richey Clarke, one of the busiest real estate counsel in town (and who now boasts the largest residential real estate practice in Eastern Canada). 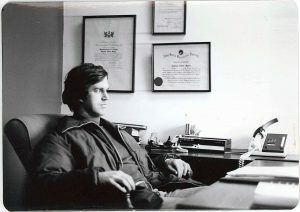 They, combined with the added infusion of litigator A. Lawrence Graham, journalist-turned-lawyer Gordon Proudfoot, Cyril Randall in real estate, and a young spunky litigator named Jim Connors, became some of the key “builders” of the Firm in the heady days of the 1980’s. In 1982, Haligonian Matthew Napier joined as an articled clerk and promptly began building the largest personal injury litigation practice in Atlantic Canada. From the beginning, our lawyers were leaders in the legal profession locally, provincially, and nationally, President of the Canadian Bar (Gordon Proudfoot); Members of the Nova Scotia Bar Council (Thomas Boyne, John Young, Sean Layden, Dartmouth Bar – Cyril Randall); President of the Public Legal Education Society (Sean Layden); in politics (John Young, Jim Connors, Sean Layden and Gordon Proudfoot); on hospital boards (Thomas Boyne, John Young, Greg Baker); on university boards (John Fitzpatrick – Saint Mary’s University, Gordon Proudfoot – Acadia University), to name a few. Some of the leading cases in the Supreme Court during the 80’s, 90’s and into the 2000’s made international news representing clients such as MacNeill in The Nova Scotia Board of Censors Case, Mick Jagger and the Rolling Stones, the Ottawa Citizen v. Bob Coates, the Canadian Broadcasting Corporation, numerous award winning journalists, national and international banking institutions and other multinational corporations, all of which stoked rapid growth and momentum to assist our clientele in taking care of business. The Firm maintained a continuous focus on specialization of our lawyers practice areas constantly honing their skills to be better tuned to the “Age of Aquarius” with fiber-optics, social media, and lightning fast data transmission. Our own Christene Hirschfeld is a pioneer in computer law, intellectual property, entertainment law, and movie financing. David Bright, Q.C., is nationally known as one of Canada’s pre-eminent military justice counsel. Our lawyers have distinguished themselves as leading media counsel with the A.G.N.S. v. MacIntyre Search Warrants Case (Gordon Proudfoot and Robert Murrant) and the media pitted against the Speaker of the Legislative Assembly in the Cameras in the Legislature litigation (David Coles, Jim Connors). Both matters went all the way to the Supreme Court of Canada. The Firm soon developed a national reputation in defamation work (David Coles), international business acquisitions (John Young) personal injury litigation (Matthew Napier, Robert Carter, Gordon Proudfoot, Sean Layden, and Robert Dickson). In the 2000’s we have experienced remarkable expansion in several areas including; Family Law (Deborah Conrad – who has been with the Firm since 1986, Peter Crowther, Terrance Sheppard); Kathryn Raymond joined in 1990, building a successful Health law and Employment law practice; the Financial Recovery team led by John Fitzpatrick, Q.C. ; (Bryce Morrison, Robert Miedema); Residential & Commercial Real Estate (Richey Clarke, Cyril Randall, George Ash, Thomas Boyne, Christene Hirschfeld, Bryce Morrison, John Young); Wills and Trusts (Larry Graham, George Clarke, George Ash); Business Litigation (David Coles, James MacNeil, Rebecca LeBlanc and Joshua Santimaw). Dartmouth has been good to us. Since the opening of the A. Murray MacKay Bridge in 1970, the population of Dartmouth has more than quadrupled, and while Nova Scotia’s population has grown 16% since 1972, Dartmouth has grown by 36%. Burnside Industrial Park mushroomed to 1,000 employers, and 17,000 employees. Indeed, from BOYNECLARKE’s original 3 lawyers, we have grown sixteen fold since 1972. After 40 years of service to Nova Scotia it has been an Honour. We welcome you to view a list of our current lawyers by clicking here. • Gregory R. Baker, Q.C. • The late James L. Connors, Q.C. • Robert C. Murrant, Q.C.